Your kitchen may remain incomplete without a nakiri knife. For chopping all kinds of vegetables, you just need nothing but a nakiri knife which has a straight blade edge and squared off tips. You do not need to push or pull it horizontally. On your cutting board, it plays seamlessly. Actually, a nakiri knife is also known as nakiri bocho and is an ideal knife for your kitchen stuff. It is also a light-weighed knife and thus you can use it conveniently. It offers you to cut not only vegetables but other stuff also for your garden stuff. It’s cutting style is very clean can cut fluid-like substances as well. They are available out there in the market and you just need an excellent nakiri knife to buy for your kitchen. It is go-to stuff for your kitchen. Having thinner sharp blade, it can cut vegetables flawlessly. If the blade of this knife is thicker which is perfect for cutting small bones, vegetables may break instead of slicing them. So, the nakiri knife does the thing professionally at home. So, it is now I think, clear that a nakiri knife has many advantages in cutting and slicing vegetables without damaging. 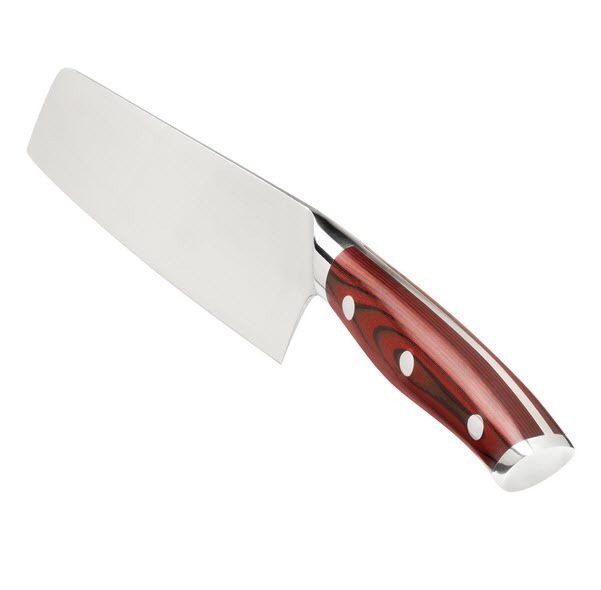 Let’s jump into the section of why should you use a nakiri knife in your kitchen as important kitchen stuff to cut your vegetables on the cutting board? If you are a regular cook at your home, you may have experience of damaging vegetables with thick blade knife. A nakiri knife just comes into the play to relieve you from damaging your vegetables. Its sharp and thin blade is able to cut your vegetables like paper thin. Do you like thin vegetable slices to cook? Then this knife should be your best option to go ahead. With a thicker blade knife, your vegetables’ slices may be rough and damaged. And you may not get as thin as you need with a thick blade knife. On the other hand, a nakiri knife having thinner and generous blade can do the entire job for you. And, you will get the slices that you desire. Even slices of vegetables not only make your dish palatable but they look appetizing also. And you can get even slices of vegetables with nothing but a nakiri knife. Its flat blade allows you to make thinner and even slices of vegetable easily. Just be careful using this sharp knife so that you may not cut your fingers. So, you should also take some safety measures before going to slice your vegetables with a nakiri knife on the chopping board. Most knife available out there in the market has carbon content on it. Carbon content may be of two types- low carbon content and high carbon content. Knives having low carbon content tent to dull more than that of high carbon content in them. As a result, they need to sharpen frequently. On the other hand, having high carbon content keeps you away from sharpening them too often. Thanks to nakiri knives as they have high carbon content in their blade. And thus, you may not be bothered making the blade sharp frequently as well. 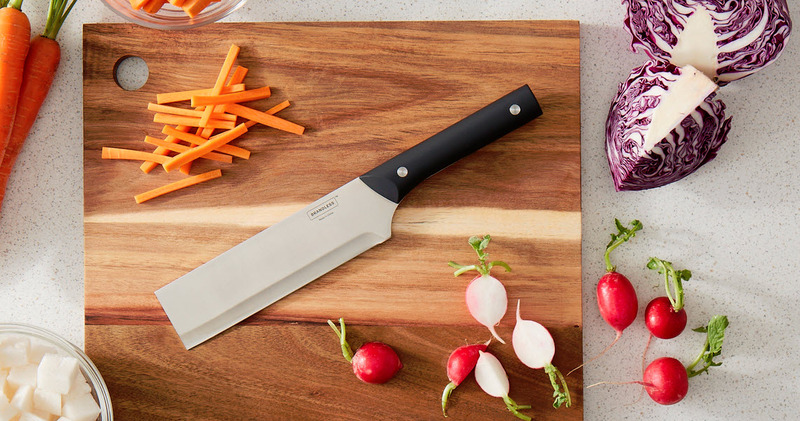 A good knife should not only have a sharp and thin blade to chop vegetables on the cutting board. Apart from that, the knife should have a comfortable grip to hold it tightly so that you can work peacefully. If the grip is somehow slippery, you may get injured while cutting vegetables. But the grip of a nakiri knife is way more comfortable than others out there in the market and convenient to do the chopping flawlessly. Having generous blade length, a nakiri knife is comfortable cutting any vegetables. And the size of the blade is 5-7 inches if it is a standard nakiri knife. This length is sufficient to cut almost any vegetables evenly and properly. From our day to day experience in the kitchen with a knife, a nakiri knife performs better than any other knives in the market now. It is fun making even slices of your vegetables with a nakiri knife. Nakiri knives are also long-lasting and they are easy to sharpen because of having high carbon content on them. If you are an old user of the knife, you know how convenient it is to use. And if you are not the same, you will fall in love with the knife after using the knife for a few days in the kitchen to cut your vegetables on the chopping board. 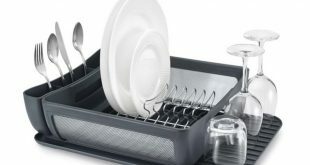 So, you can buy one and use it as your kitchen stuff to do things more efficiently. Next What is a Sear Station on a Gas Grill & Why Would You Use Them?